SCHOOL BULLYING – ARE THERE DIFFERENT RULES FOR TEACHERS AND KIDS? In a decision to be released next week, the Connecticut Appellate Court sided with a sixth grade teacher who had been officially labeled an abuser by an investigator Department of Children and Families. In the fall of 2008, the parent of a sixth grade student, identified in the decision simply as “K” complained to school administrators that K’s teacher, Nicholas Frank, had pinched K’s cheeks and called K names like “cheeks” and “fish out of water”. The following spring, K’s parent complained that she suspected K’s teacher had lowered K’s grades as retaliation for her earlier charges of bullying. After a brief police investigation and two internal investigations, the Department of Children and Families was asked to investigate the allegations three separate times. The Department twice declined to investigate and finally agreed on the same day The New Haven Register ran a story about the dispute. The school system had meanwhile conducted its own hearing as a result of which the teacher was suspended for 8 business days for “[joking] with students and at times identifying them by nicknames” The teacher was also required to participate in mandatory training and to refrain from similar conduct in the future. DCF then held a hearing after which it was determined that Frank’s behavior had been abusive. The Department’s hearing officer ordered that Frank’s name be placed on a central registry of child abusers. Frank appealed to the Connecticut Superior Court which affirmed the decision of the DCF hearing officer. First, is there a difference between physical bullying and “horseplay” ? Is there a meaningful difference between name-calling and nickname-calling where the nickname is imposed rather than chosen? 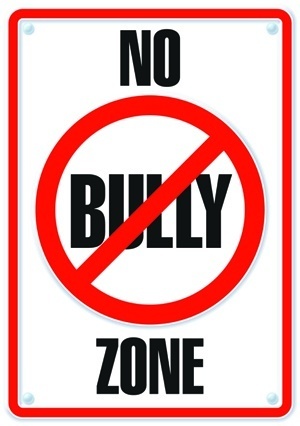 Assuming that Frank’s behavior did constitute bullying that did not rise to the level of abuse, does Connecticut’s current legislative scheme fail to address all but the most egregious teacher-student bullying? What could the Department of Children and Families have done differently in this case? Last year, the new Commissioner of the Connecticut Department of Children and Families (DCF), Joette Katz, called an end to surprise home visits in most cases of reported child abuse or neglect. According to the Connecticut Mirror , Commissioner Katz felt that the practice was inconsistent with the principles of the Department. Katz believes that only 10 to 20 percent of reports of abuse are serious enough to warrant a surprise visit. All others are now to be pre-announced by telephone. Soon, the Department is scheduled to make another big change. Rather than investigating all reports of child abuse or neglect in the way police might investigate crime, the DCF has announced that beginning in March 2012 it will operate on a model known as Differential Response. Under that model, only a small percentage of reported abuse or neglect will be investigated. Instead, cases considered by the department to be less serious will be approached by collaborating with the family. The goal will be to keep children within the family setting by directing the family to appropriate community services. In keeping with the new policy, the agency’s child abuse “hotline” has even been re-named the “care line”. The Differential Response model has both proponents and critics. Both groups seem to agree that a benefit of using Differential Response is cost savings. Reducing the number of adversarial proceedings related to claims of abuse or neglect and keeping more children in their home settings saves money. Proponents also argue that collaborating with families to support them in efforts to correct behaviors detrimental to the welfare of children, results in better long-term outcomes for the children. Opponents don’t necessarily disagree with the concept in principle, but caution that the success of the model depends entirely upon how well it is implemented. They argue that, to produce good outcomes for children, social workers need to be able to do adequate screening and follow-up to be sure the desired results of are actually being achieved and maintained. In other words, DCF workers must be empowered to oversee their cases over time once an initial determination of the seriousness of a case has been made. Connecticut is just one of many states that have adopted the Differential Response model of child protection, but a 2009 report notes that several states, including Florida abandoned the approach after results were either unsatisfactory or inconsistent among districts. The question for Connecticut residents is whether the Department can provide funding and resources adequate to ensure that the children of families who have not undergone a traditional investigation will be protected and that their situations will be monitored over time. We would like to know what you think.